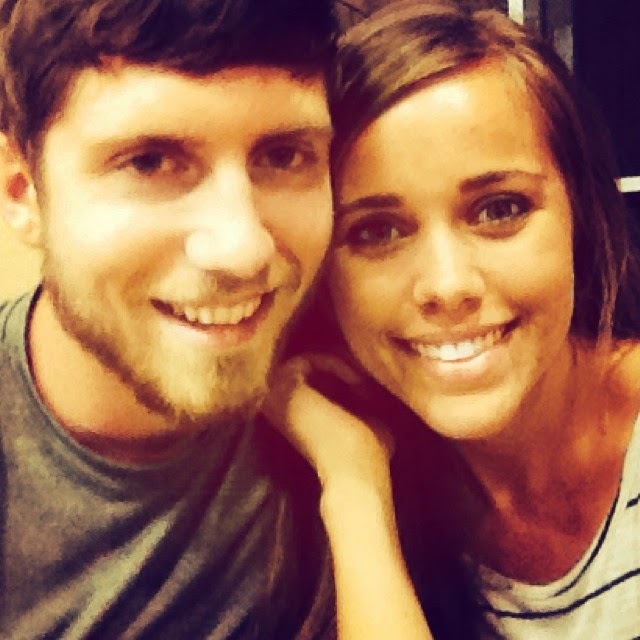 Thanks for the update on Ben and Jessa! Looking forward to seeing more in the future! There were a little close on some of the pics. Jessa is beutiful! I love her bun. I want to know how it's perfect. They are soooo cute. I looove her shirt! Who cares....instead of fearing of them being too close why don't you be joyful that this is a beautiful courtship? I like the two little fingers "photobomb" in the 3rd picture lol. Great looking couple - so happy for you! You guys look so cute together. Is there another weddings in the near future. So excited for this young couple & where God is taking them. God bless you both. Jesse and Ben look happy together. Can't wait for their engagement. Glad they are taking it slow to see if he is the one for her and she is the one for him. Love the updates and the photos!! What a cute couple! How sweet I'm sure the younger kids are having fun chaperoning Ben and Jessa! That is sooooo sute that johannah and justin are chaperoning. It's so sweet they look like they are getting happier and happier as time goes by! 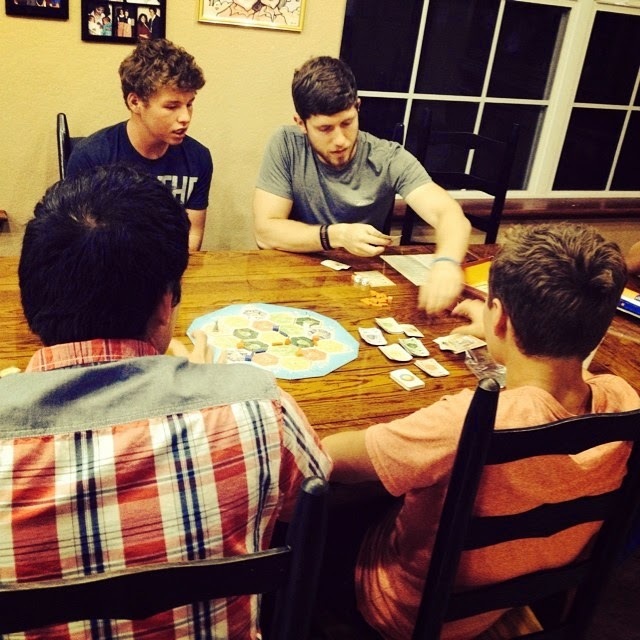 I love Settlers of Catan!!!! I thought I read that Michelle said the chaperones had to be 10yrs or older? Johannah is only 8 isn't she? Please stop making comments on how close Ben and Jessa are. Thats sooo not necessary!!!!! Its bad enough they have to have kids to drag around with them as chaperons!!!! 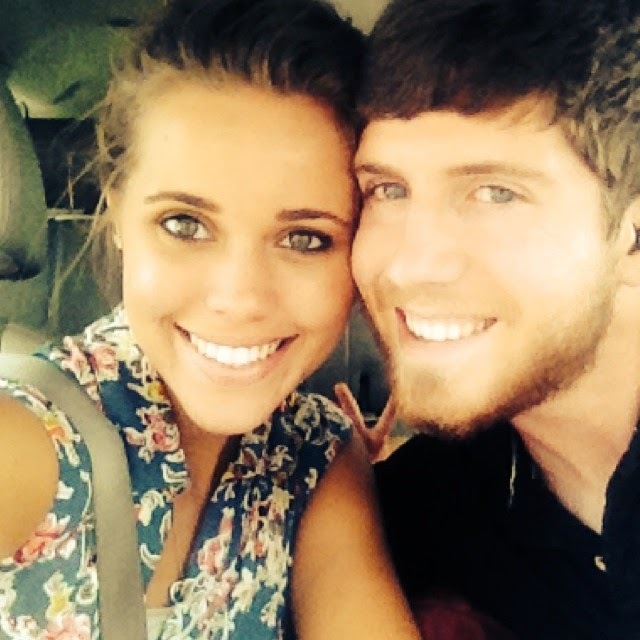 Ben and Jessa are soooo cute together!! What a cute couple. I love that johannah and Justin are chaperoning. Its so cute. So cute! I love the last picture with Hannie and Justin in the back! :) Thanks for the update on them!!!! I have a premonition that they are going to get engaged on 4th of July. We will have to wait and see what happens. they are a beautiful couple and look very happy, but I can't help thinking that if Ben were older than Jessa they would be engaged by now.. It looks like jessa is in a tank top--- good for her! in the board game picture who is the guy with black hair? His back is towards the camera. Doesn't look like Josh. Maybe a cameraman! lol! Jessa is stunning in every single one of her pictures. She seriously doesn't have a bad picture! Ben and her make a gorgeous couple. I can't wait to see her as a bride. They're an adorable couple but I think instead of 8 and 11 year old chaperones, I'd send John David along. . .
Hmmm..is Ben trying to look like Derick with that facial hair? There is never a pic showing Jessa's left hand….it's always hidden. Coincidence? 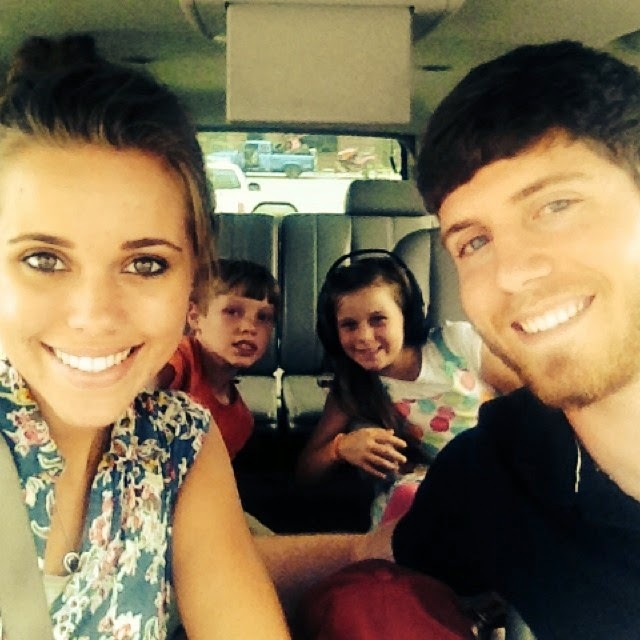 I'm very surprised to see that the Duggars' have sent Jessa and Ben off with her (very young) siblings to "chaperone." The idea of a chaperone is not just another human person, but those of some maturity and better even some authority. I hope they don't regret there increasing laxity. I never see their hands... something tells me that their hands may be together!! Yeah! I like Ben's new "look" ! The facial hair and new 'do is really cute! 4th of July ENGAGEMENT coming soon! I hope! These guys who court always have the most exquisite, intricate, beautiful proposals planned! I can just see it now: The fireworks spell out, "Jessa, will you marry me?" and it will be a total surprise! If he doesn't do it, he sure missed a GRAND opportunity! !! Where did you hear that they had to be 10 years older? That's a little ridiculous if you ask me. I LOVE Jessa's shirt! And who cares if it's a sleeveless? I say good for her! You are entitled to your own convictions when you are that old! I may be a bit too old-fashioned, but I had always thought a chaperone was an older person, like a parent, grand-parent, aunt/uncle or a mature sibling. I thought it peculiar Jinger and the younger Duggars are acceptable chaperones. Maybe I've been out of touch....just a thought. Good to see Jessa & Ben doing well and spending some quality time together. Hope they don't feel like rushing after Jill and Derick getting married. They should take all the time they need and financially prepare along with building their relationship. Michelle just blogged about how they pick chaperones. One of the guidelines was that they needed to be 10 years of age or older. Perhaps a special exemption needed to be made in this instance. In Michelle's new blog post she talks about Chaperons and says in their family the rule is the Chaperons have too be 10 and above. Justin is Eleven so that falls okay and I'm sure Johannah is just along for the ride. It is my understanding that the Duggars use chaperones only to keep the courting couple accountable to themselves to uphold standards they have set for this phase of their relationship. Jessa and Ben have chosen to only touch briefly, giving each other a side hug for no more than about 30 seconds, as a greeting while they are courting. They have both said that they will hold hands when they become engaged, which they anticipate if their relationship continues to progress well. The presence of chaperones simply ensures that the couple is not alone and they will not be subject, therefore, to the physical temptations that might arise were they to be alone. In times past, chaperones provided advice and guidance, too, but I understand that Jessa and Ben discuss their relationship regularly with both sets of parents so their chaperones do not have to fill this role. They've been dating for awhile... I wonder when Ben is going to propose? I hope he isn't the type of guy who waits YEARS before finally asking her hand in marriage... If he is, Jessa just needs to dump him! She is such a sweet girl to be waiting such a long time on her boyfriend to pop the question! Jess is a beautiful woman. She should be a cover girl model. The questions about the sleeveless has come up as my own daughter watches the show. She thought that their standards were higher than that. She has also noticed that Jill and Jessa are physically closer to Derrick and Ben then Josh and Anna were. I think Josh and Anna had a perfect close yet distant relationship while they were courting. As for the modesty thing Michelle has said before that each daughter will have to decide what her own standards are you can see with each girl that's a little different. Obviously the younger girls don't get to make those decisions but Jana, Jill, Jessa, Jinger are old enough to make those decisions for them selves. Does anyone else think Jessa loiks like Jessica Alba?? They are not hyporcrital. Jessa and ben are doing Gods will. And they know they wont do anything in d ront of the younger children so that's a good choice of chaperone. And yall need to stop being judgmental of them.